Companies that are growing quickly, or hope to, sometimes go on public hiring sprees to generate interest and bring them some extra media attention. This speeds up the recruitment process, helping a business quickly interview and hire candidates. If you’re preparing for your next hiring spree to quickly fill out your ranks, first consider the example of a few big names that have recently been doing the same. King Digital, developer of the wildly popular Candy Crush Saga game, is going on a hiring spree to fill 165 openings in locations around the world, as listed on its website. The company, which has existed for 11 years, is trying to come up with another hit game to follow Candy Crush and keep itself in the spotlight. This is in the wake of a depressing IPO for the developer, showing that Wall Street isn’t too keen on the one-hit-wonder status of King Digital. AT&T is going on a much larger hiring spree, planning on hiring more than 3,000 additional employees over the course of a few months. The company reports needing to meet a higher demand for its services, showing the success of its new subscriber plans based on prepaid services and lower-cost post-paid services. In the fourth quarter of last year, AT&T gained about 566,000 new post-paid subscribers alone, and about 809,000 new subscribers in total. Finally, LA County unveiled their plans for a hiring spree that would add 1,300 employees primarily in the areas of nursing and social work. The goal of the hiring spree would be to bring on new staff to reduce the caseloads to a more manageable level for current employees. These hiring sprees continue to occur; whether it’s AT&T today or King Digital tomorrow, there always tends to be a hiring spree. Many companies use RPO firms to assist with hiring sprees, but one technology that can be used with or without RPO firms is video interviewing. 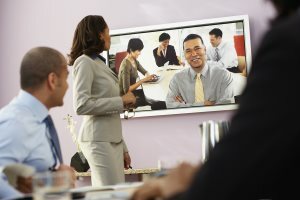 Video interviews let employers evaluate a large number of candidates much more quickly than traditional face-to-face interviews, while standardizing the process for maximum efficiency. By interviewing remotely, recruiters and candidates don’t need to schedule and pay for travel time, saving employers up to 75 percent in travel costs. This is very convenient for job seekers who are already employed and can’t afford to take time off work. With pre-recorded video interviews, a recruiter can create a set of questions and have candidates record their video responses. Candidates can feel comfortable and take their time in answering the questions, and the recruiter can review the videos at their convenience. Noteworthy candidates can easily be marked for further review, and their videos can be sent to other members of the hiring team to get their opinion. Video interviews also offer a standardized platform for handling many candidates, giving them all equal footing in the hiring process. Every candidate gets the exact same treatment, helping recruiters to evaluate them fairly. A video interview is not going to be the final interview, but it will let recruiters quickly look through a large pool of candidates and pick out the best of the bunch. For a hiring spree, the ability to move candidates through the interview process while maintaining consistency and a focus on quality is critical. This makes video interviewing the perfect tool for finding the most qualified candidates and setting up a more comprehensive, in-depth interview, especially when your team is going through a hiring spree.